Born in Pittsburgh, Pennsylvania on November 9, 1969 Jimmy Tavis was a gifted songwriter, musician and electrifying live performer. Candy & Ronnie’s director Skyko was his older brother and bandmate in the Los Angeles rock band Lash Tavis circa1985-’86. Jimmy went on to playing bass and singing backups for the band Lost Boys signed to Atlantic Records in 1987 and then with Lita Ford in 1991, appearing in her video Larger Than Life. The fact that he appears on songs on Lita’s 2016 album Time Capsule as both writer and musician says volumes of his artistic abilities. Jimmy also co-wrote the title track to the film Rockstar starring Mark Wahlberg and Jennifer Aniston. 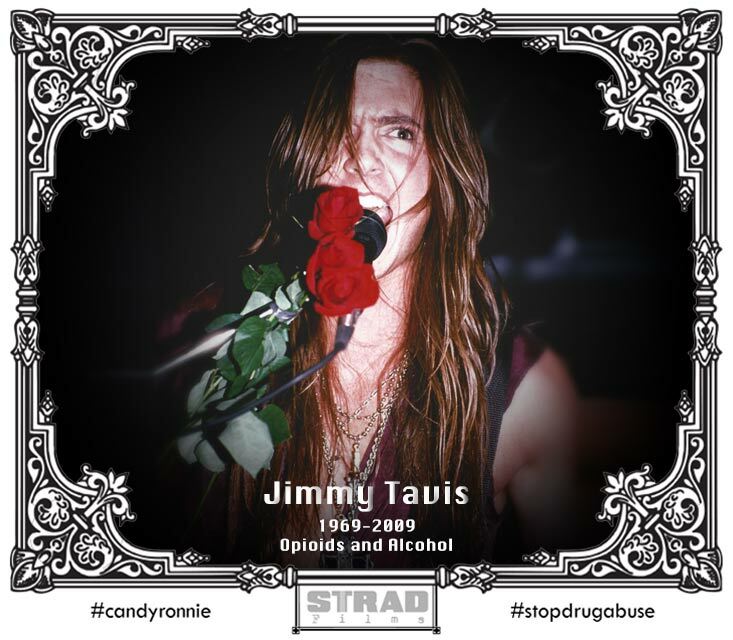 Jimmy died in Las Vegas, NV on August 12th 2009 of multiple intoxication from opioids, alcohol and cocaine. He is missed dearly by those close to him. Jimmy was a gentle and loving soul who would go out of his way for his friends and family, but tragically couldn’t shake the addiction that he finally succumbed to at the early age of only 39.